Disney has the highest-grossing domestic movie of 2017, and honestly, it isn't even close. Their live-action remake of Beauty and the Beast has been raking in the dough ever since it was released in March and now, it has crossed a very significant milestone. With the Memorial Day weekend box office taken into account, Beauty and the Beast has now grossed more than $500 million domestically. According to Box Office Mojo, Disney's Beauty and the Beast has grossed just over $500 million domestically, making it just the eighth movie ever to do so. The other movies to accomplish the same feat include Star Wars: The Force Awakens ($936.7 million), Avatar, ($760.5 million), Titanic ($658.7 million), Jurassic World ($652.3 million), Marvel's The Avengers ($623.4 million), The Dark Knight ($534.9 million) and Rogue One: A Star Wars Story ($532.2 million). For those keeping score, four of the eight movies happen to be Disney releases, which speaks to just how dominant they have been at the box office in recent years. Guardians of the Galaxy Vol. 2 is currently in the number two spot in terms of domestic box office performance, which also happens to be a Disney movie. But Guardians, while a big hit in its own right, as only made $333 million domestically, which is quite a ways away from what Beauty and the Beast has been able to accomplish. Rounding out the top five domestic hits of 2017 so far are Logan ($226 million), The Fate of the Furious ($222 million) and The LEGO Batman Movie ($175 million). It is clear that there is a big desire from moviegoers to see these live-action remakes of Disney animated classics. Even with a steep budget of $160 million, the Beauty and the Beast remake is going to be a massive moneymaker for the Mouse House. That should give them a whole lot of confidence moving forward, as they have a lot of other live-action adaptations in the works. Next year will see a live take on Mulan, but they also have new takes on The Lion King, Dumbo, The Little Mermaid and many more at various stages of development. 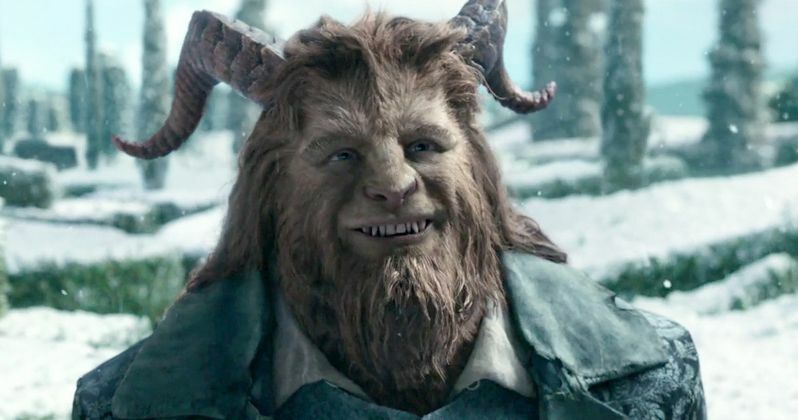 Since Beauty and the Beast, as well as recent live-action remakes like Cinderella and The Jungle Book, have made bank, don't expect them to slow down on similar remakes in the future. Internationally, director Bill Condon's Beauty and the Beast has also done incredibly well. The movie currently is the highest-grossing worldwide hit of 2017 as well, with $1.32 billion in total. The Fate of the Furious is right on its heels with $1.22 billion, but after that, it is pretty much a race for third place. Beauty and the Beast is also the highest-grossing PG movie ever made and it has a very strong chance of being the top earner for the year when all is said and done. Safe to say, Disney isn't showing any signs of slowing down.